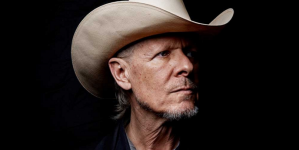 A thread running through Michael Gira’s career has been an obsession with forward movement. 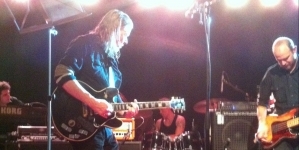 A thread running through Michael Gira’s career has been an obsession with forward movement. 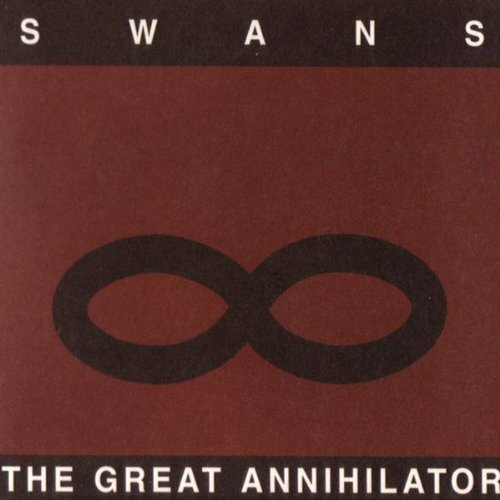 It’s interesting, then, to have a glimpse of his past via the reissue of two LPs from 1995, an effort with Swans, The Great Annihilator and a solo outing, Drainland. 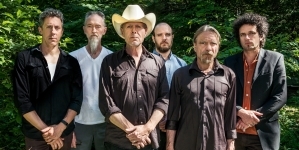 The advantage of having them back in our hands is a reminder that Swans was a band about catharsis, an emotionally charged and adventurous unit dedicated to giving listeners a singular experience. 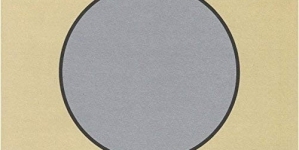 Defiant of categorization, the music exists on a primal basis. It throbs, evolves slowly, almost undetectably in cases, eschewing any inclination toward standard melody, rhythm or harmony and yet offering just enough of each that listeners remain intrigued, taking comfort in the promise that the harshest passages will be tempered with something if not always calming, then decidedly comforting. 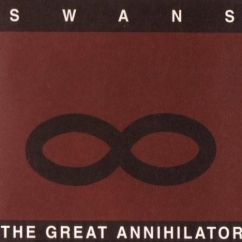 There have been those over the years who have seen The Great Annihilator as a turn toward the commercial in the Swans oeuvre. There may be some relative truth in that. By 1995, the harsh sounds of Ministry and Nitzer Ebb had found enough of a following that those eager for experimentation and soul searching through noise could find something fully familiar here. “I Am the Sun” gives us three minutes of start and stop austerity that stands like a bold and striking work of sculpture or architecture, a wonder to gaze upon but as much a confrontation as a matter of practicality. The listener wants experience and that’s what they get across the nearly 80 minutes of what served as one of the final utterances from the group during its initial run. 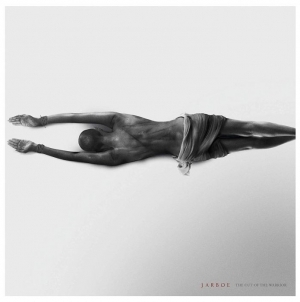 For those who have joined the program late, the effort also serves as a reminder that vocalist Jarboe provided some of the greatest and most challenging moments the Swans offered. Her harsh, almost pre-verbal chants during “Mother/Father” are a pleasantly exhausting wail of fear, maybe hope and something else that has yet to be named. Her work is a study in dynamics and, in a way, deception. During “My Buried Child” her voice is often above a whisper but barely so and the result is far more disturbing and unsettling than if she had wailed with full abandon. What’s perhaps disappointing about that track and several others here is their fragmentary nature: they arrive, make their case, then vanish almost without explanation. Then again, it adds to their enigmatic nature, their ability to disturb. Meanwhile, epic-style efforts such as “Killing for Company” provide some of the greatest experiential moments, hazy drones that also don’t need to shout in order to state their purpose. If it’s not the essential entry in the Swans’ discography it comes close, leaving the listener spent, unsure if they have the courage to take the journey again any time soon and yet eager to do so, to discover those things they missed the first time, to feel the feelings contained within the microcosms of these grooves. Drainland, meanwhile, rarely hesitates to travel fully into the darkness, the serrated edges of “You See Through Me” proving foreboding but becoming all the more so as we witness an argument between Jarboe and Gira, a couple becoming unhinged over the standard stuff: money, drinking, the inevitable chasms that become wider over time. The passage remains one of the most quietly horrifying scenes committed to tape. Its wounds feel fresh and familiar, a reminder that this conflict is not particular to our musical subjects. There is further darkness, sturm und drang in the lurching, funereal vibes of “Why I Ate My Wife,” the sound of a soul fully unhinged, perhaps incapable of redemption and hanging onto it with less and less tenacity. “Fan Letter” sounds like a man with too much drink in his belly wondering if his adversaries are right, perhaps hoping they’re wrong and unsure what it’s all worth. Perhaps that’s the pervasive question sprawled across Drainland: How do we hang on? Should we? Neither recording gives us an easy answer or, really, any answer at all. That would be a difficult notion for some to grasp but it’s expected here, in a world where the artist knows that the uneasy arrival is sometimes, at least artistically, the best.